Lakes in Madison and the Bay of Quinte in Trenton, Ontario will be sailed the morning of Friday, January 19. We still have a real issue with finding a sailable site. We have 2 possible sites but both have weather issues. Registration will begin Sunday afternoon, January 22. Anticipated first day of racing is Monday, January 23. Thank you for your patience we will let you know more information as soon as we can. Lakes in Madison?Are you serious ? 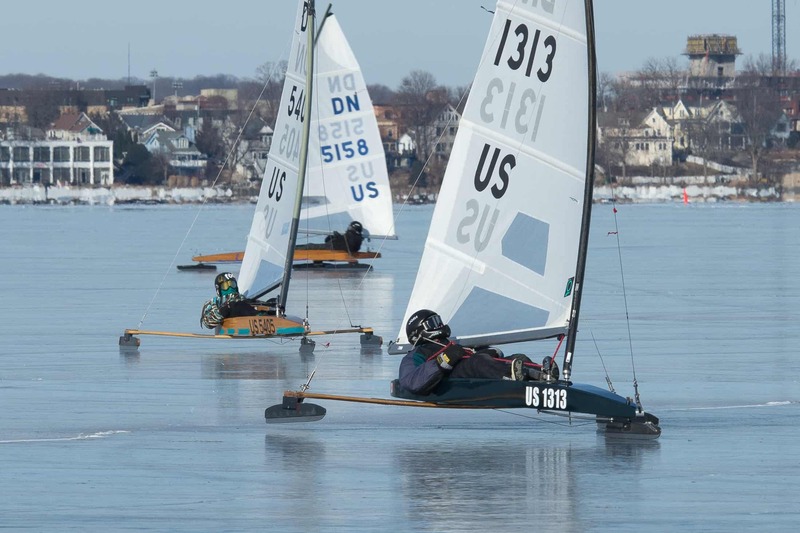 Weather forecast for Madison is 39 degrees F for friday, 48 degress Sat, 43 Sun, 39 Mon, 40 Tue. If there is any ice left at all by Wed, it will be daiquiri buried under 1ft of slush. The more you delay, the more the plate risks deteriorating anywhere you choose. If Trenton is sailable, why prevaricate? Prevaricate,I love it,Andre I am going out now to get one of your books.